How to register? Participant may register using the provided online registration form. STEP 1: Add participants, choose the disciplines you would like to swim and add the tickets for additional programme events such as gala dinner or shuttle service tickets (you may select also tickets for additional programme events for your companions that are not competing in the Championships). STEP 2: Choose the payment option and fill in the payment details. We offer three payment possibilities: paypal, credit card or bank transfer (proforma invoice). STEP 3: Overview your entry info and payment details. Complete your entry with payment (“checkout”). Please note that once you confirm your entry (“checkout”) you cannot return to your registration form. What are the payment possibilities? There are three payment possibilities: Paypal, credit card or bank transfer (Pro-forma invoice). How do I know if my entry was submitted? After you confirm your payment, you will automatically get confirmation mail. In the confirmation mail there is a link/button to your Invoice or Pro-forma Invoice depending on your payment type. Invoice is your confirmation that you have successfully registered. If your payment type was Pro-forma Invoice, please see the next question. How do I pay Pro-forma Invoice? After you confirm your payment, you received entry confirmation with the link/button to your Pro-Forma Invoice. Click on the button and your Pro-forma Invoice will open. There are instructions and data how and where to make bank transfer. After the organizers confirm they received your payment, you will get the Invoice. What is the due date for Pro-forma Invoice? Pro-forma invoice has to be paid within 8 days after the date of issue. The payment is a condition for participation in the event. Where can I check my registration? All events and additional tickets are specified in your Invoice. I made a mistake in my registration form, what can I do? 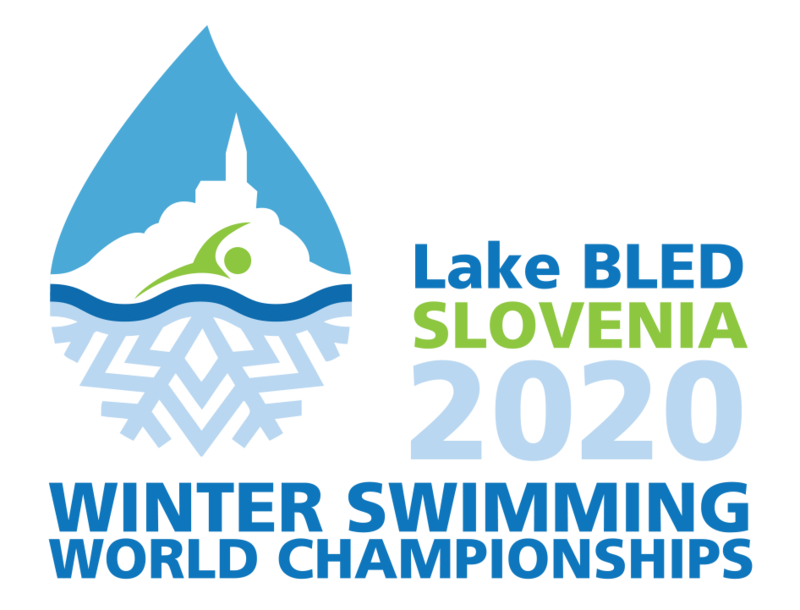 Please write to info@winterswimming-bled.com what correction you would like to make. I want to add disciplines, what can I do? Please write to info@winterswimming-bled.com what disciplines you would like to add. I want to change disciplines, what can I do? Changes are not possible. Why I cannot register with the same email twice? The registration system allows only one email account per entry; however, you may register more participants in that one entry. Why do I need to put in my mobile phone number? Organizers will use your mobile number only to inform you about important information and or changes during the Championships. When is the relay registration deadline? Registrations for relay competition will remain open until Thursday, 6 February 2020. Can I register only team and submit the names of participants later? The registration form allows you to register only team captain; however, the last day for submitting the names of all participants and the total age is on Thursday, 6 February 2020, until the end of the Information center opening hours. Where can I find the competition programme? Competition programme is available here. Where can I find the additional programme? Additional programme is available here. Where do I buy tickets for additonal programme events? You can buy tickets while registering for competition. Can I buy tickets for additional programme events for my companions (family members, friends etc) that are not competing at the Championships? Of course, please write to info@winterswimming-bled.com. Where to stay? Bled offers many accommodation possibilities. The LOC has managed to secure preferential rates at selected hotels, pensions and hostels in the immediate vicinity of the venue in Bled. There is a limit to the length of time the LOC can hold these rooms. If you follow this link it will take you straight to the accommodation booking site provided by the LOC supplier. I am finding it expensive to find accommodation, where can I look? Please write to accommodation@winterswimming-bled.com your wishes, budget and all other needed information. We will find the best solution for you and prepare custom offer without additional charges. What are the adventages of booking accommodation through LOC? If you book minimum 3 nights you will get transportation (shuttle bus ticket) and welcome party ticket free. © 2018 SiSport, FOTO: www.slovenia.info, Archives of Bled Tourist Board.